Play on a Foal Friend. Any Phase: Exhaust this card to move that Friend to a Problem. 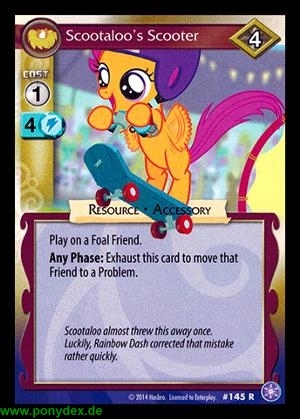 Scootaloo almost threw this away once. Luckily, Rainbow Dash corrected that mistake rather quickly.